When it comes to smoothies, avocado is always a good idea. Containing almost 20 vitamins, minerals and phytonutrients, avocado is the perfect ingredient for making healthy smoothies because it's one of the most nutrient-dense fruits and provides a substantial serving of heart-healthy monounsaturated fatty acids, as well as vitamin C, E, B6 and folate to support optimal health and wellbeing. It's an incredibly versatile fruit that's a nutritious addition to any smoothie because the healthy fats in avocado help your body absorb the nutrients from other smoothie ingredients. And let's not forget the wholesome creamy flavour that avocado brings to the party! Want to learn how to make healthy avocado smoothies with banana, strawberry, blueberry or mango? Or maybe you're interested in a healthy chocolate avocado smoothie recipe? 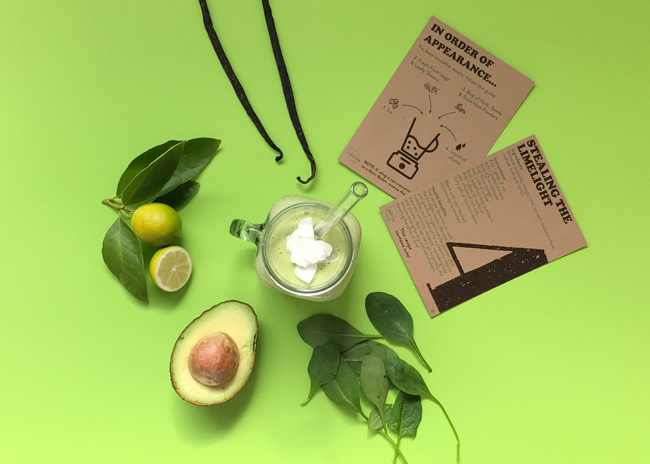 To help you make the most of the avocado season, we’re sharing a selection of our top-rated avocado smoothie recipes which you can expect in a Craft Smoothie box. Combine avocado, banana, fruit, greens, superfoods, sweetener, milk and ice cubes in a blender and blend until smooth. Pour into two glasses. 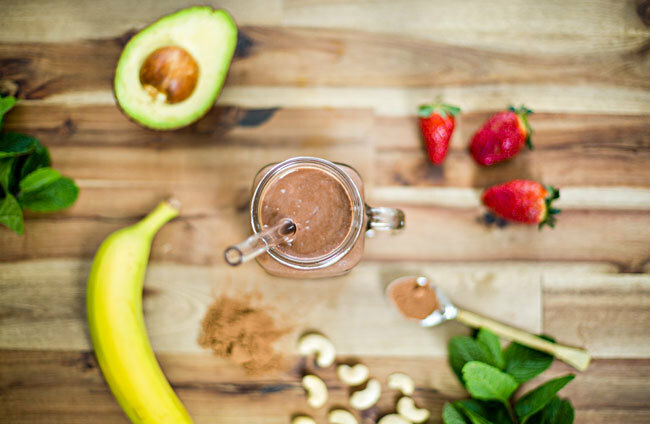 If you want to make an avocado strawberry smoothie or a healthy chocolate avocado smoothie, here's a recipe that combines the best of both worlds! It's a delicious refined sugar free blend that's super creamy and uses the superfood carob to create a nourishing chocolate-like flavour. 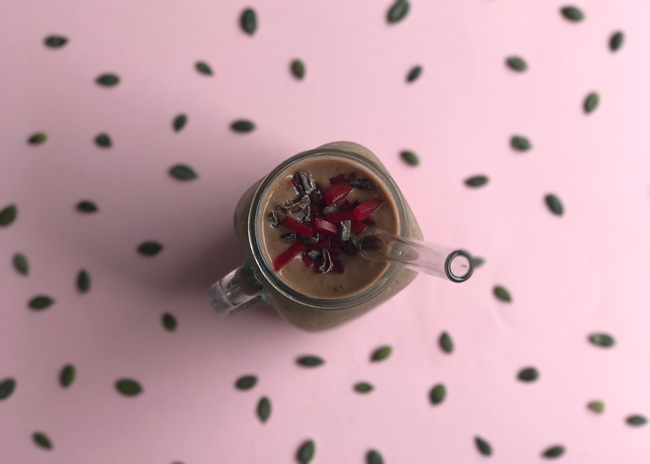 Not only does carob rival the flavour of chocolate, it’s calcium-rich and blends brilliantly in this recipe with cacao nibs and cashews for a delish magnesium kick - vital for a healthy heart and brain. Try this popular avocado mango smoothie recipe for an antioxidant-rich breakfast that has all the benefits of an energising green smoothie. It combines premium organic vanilla powder, plus cashews and coconut for a powerful source of essential vitamins, minerals, nourishing fats and protein. And we can’t go forgetting the immune-strengthening and metabolism-boosting benefits of lime! If you want to make a healthy chocolate avocado smoothie, blueberries and cacao are your dream team! Cacao is the richest source of plant-based iron and blueberries are concentrated in vitamin C, which helps your body absorb the non-heme iron in cacao. Learn more about the health benefits of cacao and other superfoods we use in our smoothie recipes. NZ Avocado shares that avocados are a good source of fatigue-fighting nutrients, including vitamin B6, folate, niacin and vitamin C. Vitamin C also helps to absorb iron from food which can support increased energy. If shopping around for smoothie ingredients isn't your thing and you want to get smoothies delivered to your door, get started with Craft Smoothie and we'll deliver everything you need to make avocado smoothie recipes like these at home.